Lets not forget that #uploadfilters, #DeleteArt13, #linktax, #DeleteArt11 and #SaveYourInternet is still a thing. The European Parliament has sent the copyright law back to the drawing board. All MEPs will get to vote on #uploadfilters and the #linktax September 10–13. 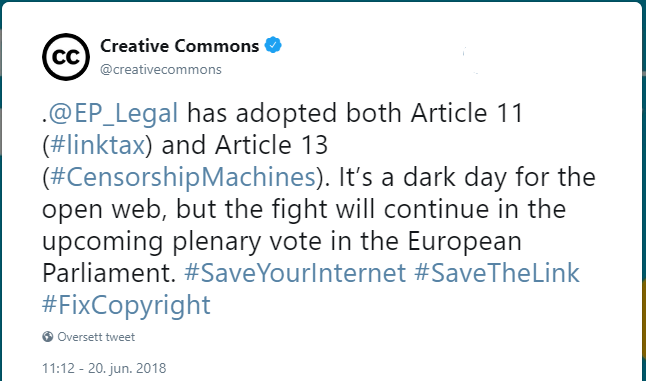 EU has adopted both Article 11 ( #linktax ) and Article 13 ( #CensorshipMachines ).